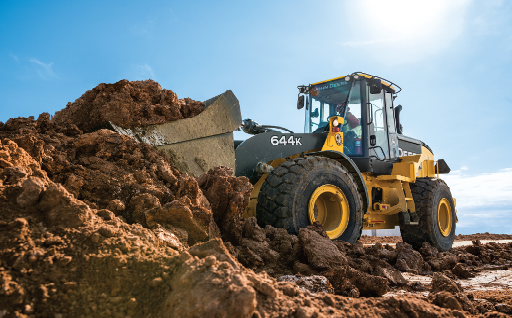 Make short work of your next task with highly-productive wheel loaders; delivering quick, smooth, and responsive hydraulics, fast ramp-climbing capability, and strong pushing power. With hundreds of models of Worksite Pro attachments, John Deere wheel loaders help you broaden your abilities and operate smarter. Compact loaders combine serious performance with low clearance, so you can be more productive when navigating narrow openings. 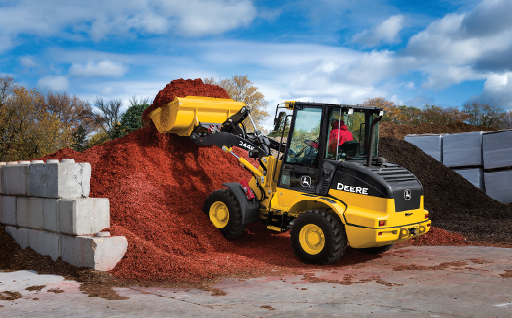 Delivering both powerful digging forces and parallel lift, the innovative design of mid-size wheel loaders allows load forces to work with, not against, the attachments. 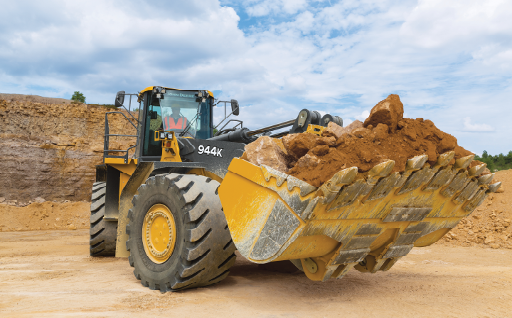 Armed with insights from in-field users, these large wheel loaders are equipped with big ideas to benefit your operation. As their local John Deere Dealer, Pivetta Brothers Construction counts on us for new and used equipment, genuine John Deere parts, and top-notch service from highly trained and experienced technicians. They have taken on a variety of new projects with the confidence that they can depend on Papé Machinery for their business needs.